On a stretch of Fulton Street with Senegalese restaurants and bodegas you’ll find a tiny taqueria that packs a nice left hook in Clinton Hill. 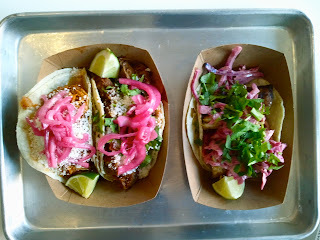 I started with the carne guajillo, which is beef stewed in guajillo chiles and tomatoes The taco was topped with pickled onions, cheese, cilantro, and lime. The meat was delicious and the guajillo stew enhanced its flavors. Next came the Yucátan style taco, cochinita pibil which is a pork braised in oranges and spices. In the past I’ve had dry cochinita pibil tacos. I know it’s hard to imagine this dish dry. Cochinita’s were tangy and juicy. The toppings were pickled onions, cheese and cilantro. Finally the fish taco. People ask me for a good fish taco recommendation well here it is. What I like about this fish taco is it’s not cooked in fried batter but is a pan-seared pollock with some cabbage-chipotle slaw. ¡No manches güey! Tacos are on the pricier side, expect to pay $4.29 per taco, but they are pretty generous with their serving. 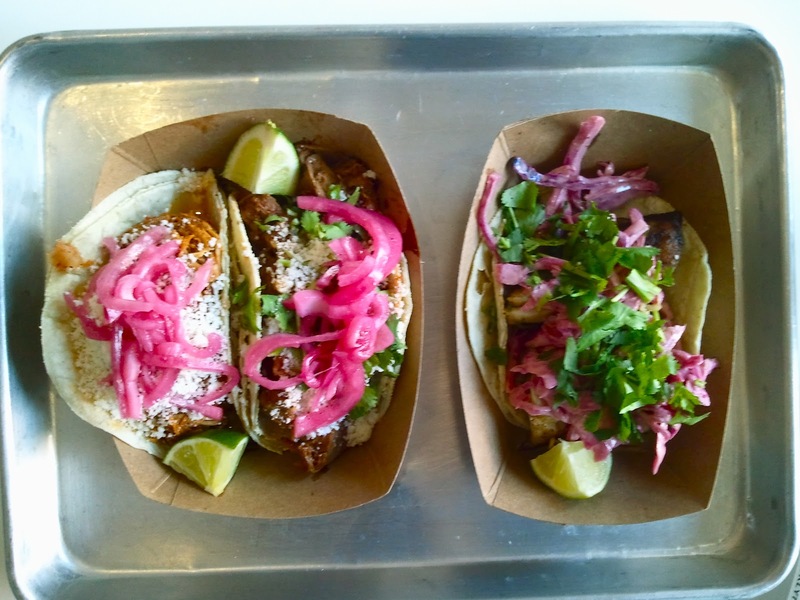 Clinton Hill is very lucky to have Cochinita in their hood. Cochinita sounds like a nice place to dine in, although I have never visited Clinton Hills whenever I will, I would surely visit Cochinita as I love experiencing new foods and restaurants.